1. Eligibility. Participation is open only to legal residents of the U.S., age 21 and over as of date of entry, and who possess a valid driver’s license. Void in Puerto Rico, outside of the U.S., and where prohibited, taxed or restricted by law. Employees, officers and directors of TEAM Coalition (“Sponsor”), NASCAR, Inc., Monster Energy and their affiliates and each of their respective employees, shareholders, officers, directors, members, successors and assigns are ineligible. Any individual who has won a Grand Prize, First Prize or Responsible Fan for the Race Prize or been the prize companion of such a winner in a sweepstakes administered by TEAM Coalition in the past five (5) years is not eligible to win. The Responsibility Has Its Rewards sweepstakes has different prizes for the two methods of entry. 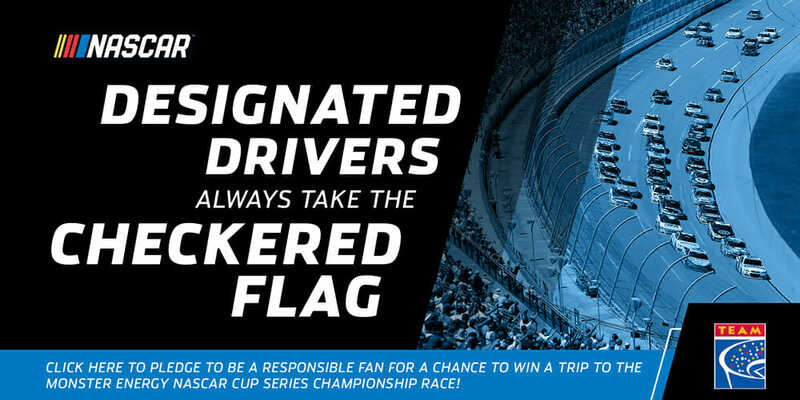 Fans who pledge to be responsible fans at Monster Energy NASCAR Cup Series™ races are entered to win the Responsible Fan for the Race prize. Individuals who take the online responsible fan pledge are entered to win the Grand Prize or First Prize as detailed below. Winners of the Responsible Fan for the Race prize are not eligible to win the Grand Prize or First Prize. 2. Sponsor and Administrator. The Sponsor and Administrator of the sweepstakes is TEAM Coalition, 1800 Diagonal Road, Suite 600, Alexandria, VA 22314. NASCAR, Inc. and Monster Energy are not sponsors of this promotion. 3. Indemnity: The Sponsor and Administrator agrees to indemnify and hold harmless NASCAR, Inc., Monster Energy, and their respective subsidiaries, affiliates, suppliers, distributors, advertising/promotion agencies, and prize suppliers, and each of their respective parent companies and each such company’s officers, directors, employees and agents (collectively “Released Parties”) from and against any and all loss, liability, damage, cost, expense (including reasonable attorneys’ fees), claims or suits arising out of or relating to (i) any act, omission, negligence or willful misconduct of the Released Parties; and (ii) any misrepresentation, breach of warranty or other breach of any obligation or covenant made by the Released Parties in these Official Rules. The Administrator agrees to obtain and maintain at its own expense through and until all applicable statutes of limitations have expired, insurance coverage consistent with industry standards, written on an occurrence basis and providing protection for each indemnified party against any and all claims. 4. Start/End Dates. 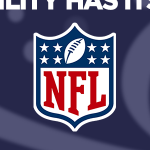 Sweepstakes begins on Thursday, February 14, 2019 at 12:01 a.m. and will conclude on Sunday, October 27, 2019 at 11:59 p.m. There are two ways to enter. Each method of entry qualifies entrants for a different prize. A. 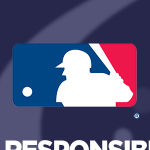 Attend any of the Monster Energy NASCAR Cup Series™ races and pledge to be a responsible race fan at the Responsibility Has Its Rewards booth. B. 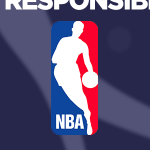 Take the online responsible race fan pledge at https://teamcoalition.org/sweepstakes/nascar/nascar-sweepstakes-entry-form/. Entrants are limited to one (1) in-person entry at each race listed above and one (1) online entry per season. Multiple entries may be grounds for disqualification from any applicable prizes. 6. Random Drawings/Odds. Responsibility Has Its Rewards booths will stop accepting entries at the scheduled start of the race. After entries have been collected, one (1) Responsible Fan for the Race will be randomly selected from the pool of all entries received at the track on the day of the race. The Responsible Fan for the Race will receive the Responsible Fan for the Race prize as detailed below. One (1) prize will be awarded for every race where TEAM Coalition operates a Responsibility Has Its Rewards booth. Odds of being chosen as a Responsible Fan for the Race depend on the number of eligible entries received. Two (2) winners will also be randomly selected from the pool of all entries received through the online entry form. The first winner drawn will receive the Grand Prize as detailed below. The second winner drawn will receive the First Prize as detailed below. Odds of being chosen as the winner of the Grand Prize or First Prize depend on the number of eligible entries received. The Grand Prize and First Prize winners will be selected on or about November 1, 2019. 7. Prizes. The Responsible Fan for the Race prize will consist of VIP Access for two (2) people and access for two (2) to the next Monster Energy NASCAR Cup Series™ race to be held at the track where the winner was selected as the Responsible Fan for the Race (ARV $500 U.S. each). The prize will be drawn after each participating Monster Energy NASCAR Cup Series race. One (1) Grand Prize consisting of a trip for two (2) people to the 2019 Monster Energy NASCAR Cup Series championship race at Homestead-Miami Speedway in Homestead, FL will be awarded. The Grand Prize includes round trip coach-class air transportation for winner and travel companion from gateway airport nearest to winners residence to Miami, FL, two (2) nights’ hotel accommodations as determined by Sponsor (single room, double occupancy, if necessary), and access for two (2) to the 2019 Monster Energy NASCAR Cup Series championship race. Total ARV of the Grand Prize: $2,000.00. If the Grand Prize winner lives within a reasonable driving distance of Homestead-Miami Speedway, ground transportation (mileage and parking reimbursement) may be provided in lieu of air transportation and no compensation or substitution will be provided for difference in prize value. One (1) First Prize consisting of a trip for two (2) people to the 2020 Monster Energy NASCAR All-Star Race at Charlotte Motor Speedway in Concord, NC will be awarded. 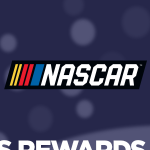 The First Prize includes round trip coach-class air transportation for winner and travel companion from gateway airport nearest to winners residence to Charlotte, NC, two (2) nights’ hotel accommodations as determined by Sponsor (single room, double occupancy, if necessary), and access for two (2) to the 2020 Monster Energy NASCAR All-Star Race™. Total ARV of the Grand Prize: $2,000.00. If the Grand Prize winner lives within a reasonable driving distance of Charlotte Motor Speedway, ground transportation (mileage and parking reimbursement) may be provided in lieu of air transportation and no compensation or substitution will be provided for difference in prize value. All winners will be solely responsible for all applicable taxes on prizes and any other costs not indicated as forming part of the prize. Winners are responsible for their own travel arrangements unless explicitly stated otherwise in the official rules. Winners must agree to a background check and shall be required to sign a Prize Waiver/Affidavit prior to accepting the Prize. Winners must be able to attend the race on Sponsor-designated dates, or prize will be forfeited and awarded to an alternate. 8. Notification. Entrants will be notified of being selected as a prize winner by email or telephone. All winners will be required to sign and return, where legal, an Affidavit of Eligibility and Liability/Publicity Release. 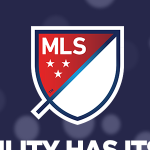 Prize companions will be required to sign and return a liability release prior to ticketing. If prize companion is a minor, he/she must travel with his/her parent/legal guardian who must sign the release. If winner cannot be contacted, if any prize is returned as undeliverable, or in the event of noncompliance with these Sweepstakes rules and requirements, an alternate winner may be selected. Limit one (1) prize per person. Game or event dates and times determined in the sole discretion of NASCAR, as applicable, and are subject to change and/or cancellation. 9. Conditions. All taxes are the sole responsibility of the winners. Participation in Sweepstakes and acceptance of prize constitutes winners’ permission for Sponsor to use their respective names, addresses (city and state/province), likenesses, biographical information and any entry statements for advertising and promotional purposes without notice or additional compensation, except where prohibited by law. In addition, prize winners, by accepting a prize, agree to participate in promotional events and activities, as requested by the Sponsor without additional compensation. By participating, entrants, winners and prize companions agree to release and hold harmless Sponsor, NASCAR, Inc., Monster Energy, their respective advertising and Sweepstakes agencies and each of their respective parent companies, subsidiaries, affiliates, partners, representatives, agents, successors, assigns, employees, shareholders, members, officers and directors (collectively, the “Released Parties”) from any and all liability for loss, harm, damage, injury, cost or expense whatsoever including without limitation, property damage, personal injury and/or death which may occur in connection with, preparation for, travel to, or participation in Sweepstakes, or possession, acceptance and/or use or misuse of prize or participation in any Sweepstakes-related activity and claims based on publicity rights, defamation, copyright infringement or invasion of privacy and merchandise delivery. The Released Parties are not responsible if any prize cannot be awarded or if any prize event is cancelled due to Acts of God, Acts of War, natural disasters, weather or terrorism. Entrants who do not comply with these Official Rules or attempt to interfere with this Sweepstakes in any way shall be disqualified. 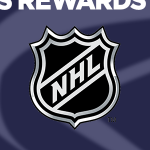 Prizes are non-transferable. No substitutions or cash redemptions. In the case of unavailability of any prize, Sponsor reserves the right to substitute a prize of equal or greater value. The Released Parties shall not be responsible for awarding any replacement prize if any of the prize events are cancelled. Sponsor reserves the right, in its sole discretion, to disqualify any entrant/winner who violates, in the sole judgment of the Sponsor, these Official Rules, or whose conduct impairs or damages, or tends to impair or damage, in the sole judgment of the Sponsor, the reputation or public image of the Sweepstakes, the Sponsor or NASCAR or Monster Energy, including, without limitation, any participating tracks. Without limiting the foregoing, Sponsor may disqualify any entrant/winner having an outstanding or prior warrant, indictment, citation or conviction involving alcohol or alcohol-related incidents, regardless of when such incident occurs. 10. Winners List. To obtain the names of the winners, visit www.RHIR.org or send a self-addressed, stamped envelope by November 29, 2019 to: TEAM Coalition, 1800 Diagonal Road, Suite 600, Alexandria, VA 22314. The Monster Energy NASCAR Cup Series™ logo and word mark are used under license by the National Association for Stock Car Auto Racing, Inc., and Monster Energy.